Tiguan With £2,000 towards your deposit. †At the end of the agreement there are three options: i) pay the optional final payment and own the vehicle; ii) return the vehicle: subject to excess mileage and fair wear and tear, charges may apply; or iii) replace: part exchange the vehicle 1. £750 towards your deposit when purchased on Solutions PCP. 2. Acceptance fee is not required. 3. Payable at the end of your agreement. With Solutions Personal Contract Plan. 18s+. Subject to availability and status. T&Cs apply. Excludes GTI and GTI+. Offer available when ordered by 30/06/19 from participating Retailers. Indemnities may be required. Offers are not available in conjunction with any other offer and may be varied or withdrawn at any time. Accurate at time of publication 01/04/19. Freepost Volkswagen Financial Services. †At the end of the agreement there are three options: i) pay the optional final payment and own the vehicle; ii) return the vehicle: subject to excess mileage and fair wear and tear, charges may apply; or iii) replace: part exchange the vehicle 1. £2,000 towards your deposit when purchased on Solutions PCP. 2. Acceptance fee is not required. 3. Payable with optional final payment. With Solutions Personal Contract Plan. 18s+. Subject to availability and status. T&Cs apply. Offer available when ordered by 30/06/19 from participating Retailers. Excludes TSI models and 2.0 TDI DSG engines. Offer not in conjunction with any other offer and may be varied or withdrawn at any time. Accurate at time of publication 01/04/19. Freepost Volkswagen Financial Services. †At the end of the agreement there are three options: i) pay the optional final payment and own the vehicle; ii) return the vehicle: subject to excess mileage and fair wear and tear, charges may apply; or iii) replace: part exchange the vehicle 1. £2,500 towards your deposit when purchased on Solutions PCP. 2. Acceptance fee is not required. 3. Payable at the end of your agreement. With Solutions Personal Contract Plan. 18s+. Subject to availability and status. T&Cs apply. Available on Tiguan Allspace only. Offer available when ordered by 30/06/19 from participating Retailers. Indemnities may be required. Tiguan Allspace SE, SE Nav and R-Line are available from stock only. Offers are not available in conjunction with any other offer and may be varied or withdrawn at any time. Accurate at time of publication 01/04/19. Freepost Volkswagen Financial Services. †At the end of the agreement there are three options: i) pay the optional final payment and own the vehicle; ii) return the vehicle: subject to excess mileage and fair wear and tear, charges may apply; or iii) replace: part exchange the vehicle 1. £2,000 deposit contribution from the Retailer can consist of a contribution towards the cash price and/or a contribution towards the deposit when purchased on Solutions PCP. 2. Acceptance fee is not required. 3. Payable at the end of your agreement. With Solutions Personal Contract Plan. Minimum 15% customer deposit required. 18s+. Subject to availability and status. T&Cs apply. Offer available when ordered by 30/04/19 from participating Retailers. Indemnities may be required. Offers are not available in conjunction with any other offer and may be varied or withdrawn at any time. Accurate at time of publication 01/04/19. Freepost Volkswagen Financial Services. Volkswagen has a reputation for developing vehicles that offer something for everyone. 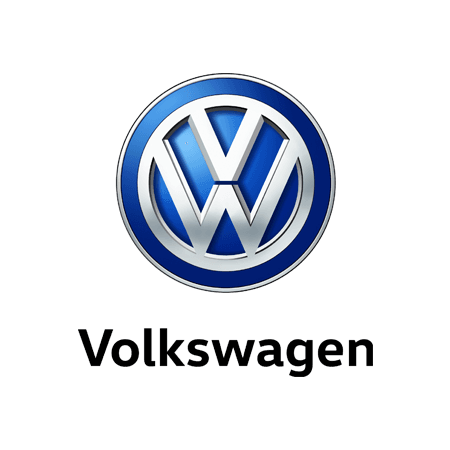 From the ever-popular Volkswagen Golf through to the bold and stylish Volkswagen Tiguan, the manufacturer is renowned for its ability to fuse exceptional performance with great aesthetics. At Hadwins Volkswagen in the Lake District, we’re delighted to be able to offer the complete selection of new cars from Volkswagen at our beautifully located dealership. Every model in the Volkswagen new car range provides a first-class driving experience. Plus, with such iconic models as the Golf, Polo, and Beetle still turning heads out on the roads, you can be confident of finding a new car from the marque that ticks all the boxes in terms of style and performance. Our setting in Lindale is the perfect location to discover the latest lineup of models, with our friendly and experienced team ready to answer any questions you might have. Browse through the Volkswagen new car range below and get in touch with our team today to arrange a test drive.